Home » News » What’s the Difference Between Google Places and Yelp? Internet marketing is relatively new in comparison to marketing through other forms of media. Therefore, the barrage of Internet marketing options and avenues can be a bit confusing if you’re not a technology marketing whiz. Let’s face it: you’ve got your hands full running your business. You want to know what’s best for your business and how you can best reach potential customers, but you don’t want to have to take a year of college marketing courses in order to do it. Luckily, the world of Internet marketing can be broken down into easy, manageable pieces. Anything you can do in the real world can be done in virtual reality, as long as you know which resources to go to. Google Places and Yelp are two popular Internet marketing tools that you might have heard of, and that could be beneficial to your business, if you know how to use them. Although they have some of the same features, the scope of these two Internet entities differs greatly. Yelp. Yelp is an interactive site that allows customers (users) to write and post reviews of local businesses. Additionally, Yelp users can message other Yelp users, add/make Yelp friends, respond to Yelp reviews, virtually “check in” to businesses so their Yelp friends know where they are and where they’ve been, and post/attend events listed on Yelp. 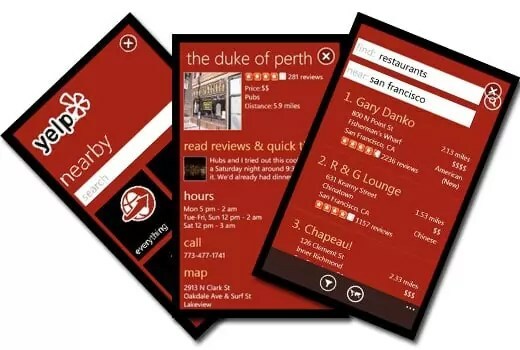 In this capacity, Yelp is very much a social networking site, and very much different than Google Places. Google Places. Google Places is an extension of Google Maps and Google Local. The pretense of Google Places is that each business location on Google Maps should have its own Places page that users can link to, from Google Search results and/or tags on Google Maps, in order to view information on that business. Google Places pages include business descriptions, coupons, photos, videos, and customer reviews. Google Places even includes Yelp reviews in its Places pages reviews. Therefore, Google Places and Yelp overlap in this one area, but that is where the similarities begin and end.